Developed by Lesta Studio. Published by Wargaming. Open beta released on July 2, 2015. Available on PC. Access was provided during a press event at Wargaming's St. Petersburg, Russia office. All travel and hotel expenses were covered by Wargaming. With a click, I moved my warship into formation as the fleet approached a set of islands, on the lookout for enemy vessels. I was captaining the USS Cleveland, the World War II era light cruiser that saw extensive service in the Mediterranean and Pacific. Truth be told she didn't look like much compared to my fellow ships - including heavily-armed destroyers and an utterly massive aircraft carrier. But the Cleveland was faster and more maneuverable, which seemed more useful for my very first mission. We reached the island formations as the music changed - someone had spotted the enemy. I couldn't see any ships, but several objects were approaching from the sky - airplanes launched from the opposing air carrier. I launched air defenses to cover my position zoomed into the distance. Finally the enemy ships came into view across the island, prompting to swing my guns around and open fire. We exchanged fire for a few moments without causing substantial damage. But while I was zoomed into the enemy, I hadn't notice a closer threat - another vessel that was drawing into point blank range. Suddenly another bulkhead filled my screen as the Cleveland rocked from fire. I pulled back my perspective and started to retreat, but realized it was futile. My only hope was to destroy the advancing ship first... or at least take it out with me. After a few rushed volleys that latter proved to be the case as both ships were torn open with explosions and sank beneath the waves. And a few minutes later, we reloaded the match and I tried it all again. At first glance, World of Warships may seem fairly similar to World of Tanks and World of Warplanes. 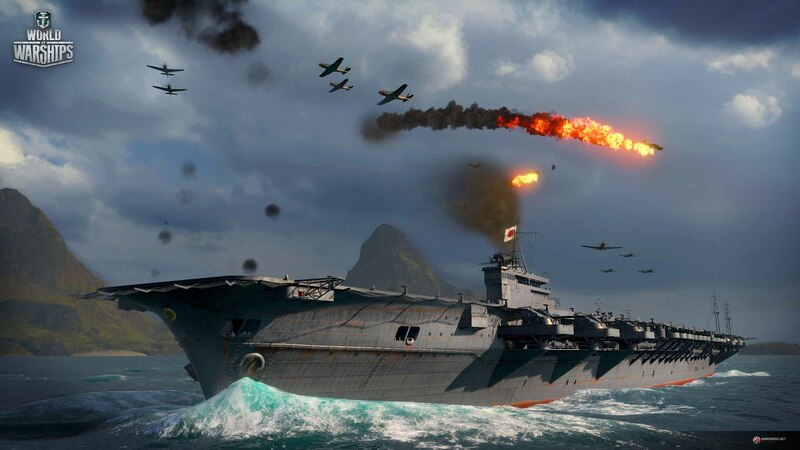 Like its predecessors, Warships is a strategy-based MMO that puts a strong emphasis on historical accuracy, and uses a free-to-play model that allows anyone to dive into ship combat in moments. 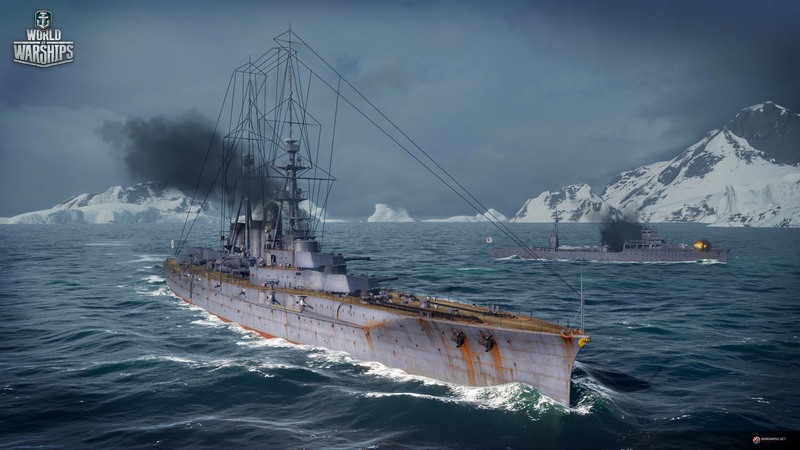 But below decks Warships is an entirely new experience, one that combines decades of development experience to immerse strategy veterans and newcomers alike. And now that the game has just launched its open beta, players around the world can discover that for themselves. Take the different ship types: Cruisers are fast vessels with limited firepower, allowing them to quickly navigate the battlefield or quickly retreat from approaching vessels. 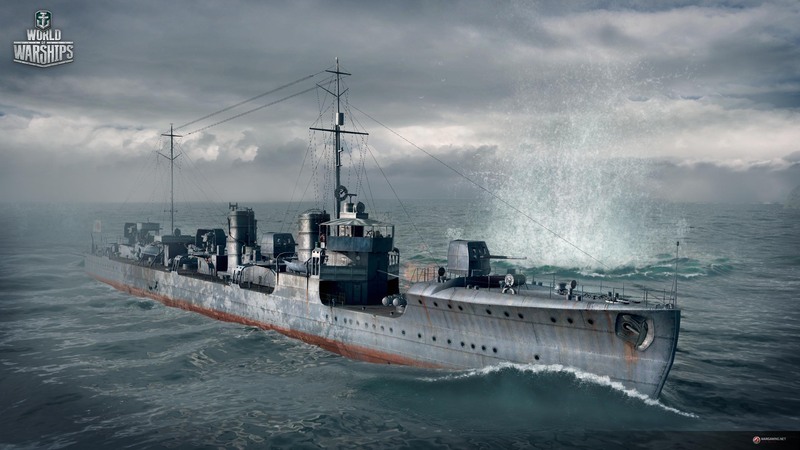 Destroyers have a slower turning speed, but make up for it with powerful torpedoes and a high fire rate. 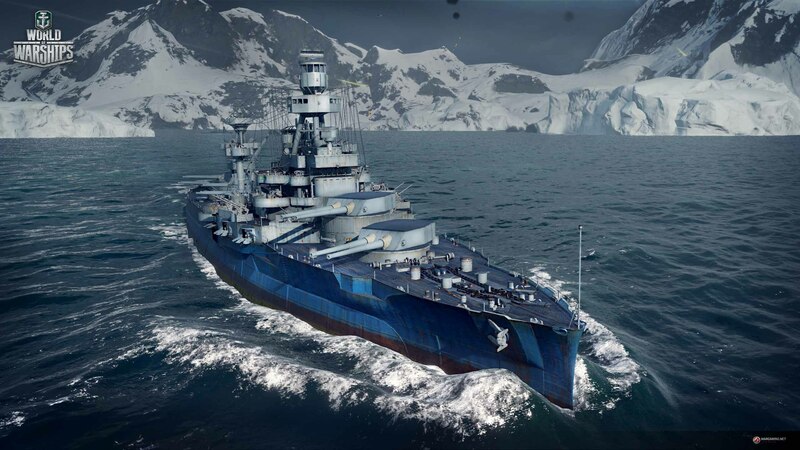 Battleships are your heavy hitters, packed with armaments that will make short work of unprepared enemy ships. Air carriers are your long distance vessels, launching fleets of warplanes that you control from an RTS style control scheme. Each takes advantage of different play styles and game mechanics that let you take on the enemy however you choose. Yet just like any solid team shooter, you can't rely on any one ship for victory. Working together with a balanced fleet is the best way to ensure victory. Players can ping positions on the map to close in on enemies or regroup to a more defensible position. But there's still lots of room for for individual achievement as well, since the right ship in the right place can make all the difference depending on your map. And since matches tend to be short - about 12 minutes on average - it's very easy for a "one more round" mentality to set in while you try new strategies. 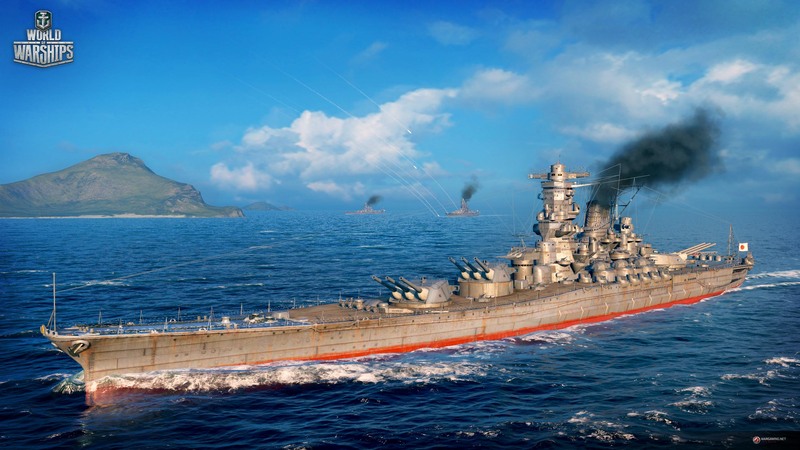 But World of Warships isn't just some strategy game about naval battles - Wargaming also prides itself on historical accuracy. Each ship model is constructed using actual ship blueprints, hundreds of photos, and sometimes by verifying data with the original ship engineers. The blueprints are even applied to destruction animations - if your vessel splits into two pieces, you'll be able to see each individual floor within the ship as it sinks beneath the waves.